A Phase Ib clinical trial carried out in patients with locally advanced pancreatic ductal adenocarcinoma has demonstrated that the addition of an experimental immune-stimulating agent termed PF-04136309 to chemotherapy could control tumor growth enough to enable surgery in some patients. The results of this small study, which was carried out at the Wilmot Cancer Institute at the University of Rochester Medical (NY, USA), appeared recently in The Lancet Oncology. Lead author David C Linehan highlighted the potential significance of these results, commenting on how research that could enable surgical treatment – the treatment that currently offers the best chance of survival to patients with pancreatic cancer – is an important goal. This study enrolled 47 individuals with locally advanced pancreatic ductal adenocarcinoma – a stage of the disease for which there is no current consensus on best treatment if the patient is not an immediate surgical candidate. Most of the patients enrolled received PF-04136309 alongside a standard four-drug chemotherapy regimen, while a few individuals received chemotherapy alone. The results indicate that the majority of those who received the experimental immune-stimulating drug saw their tumors stop growing, while it was noted that some patients experienced a partial response, i.e., their tumor shrank > 30%. In one of the study participants, the pancreatic tumors are recorded as having completely disappeared following treatment. Overall, the response rate of the patients who received PF-04136309 alongside chemotherapy was almost double that observed in those who received chemotherapy alone. The trial results report that PF-04136309 was safe and tolerable in combination with chemotherapy, with reports of adverse effects no more severe than with standard chemotherapy. However, the authors reported that three patients withdrew from the study due to treatment-related toxicity. Linehan’s research is focused on targeting tumor-associated marcophages following his discovery that patients with pancreatic cancer who also have high levels of TAMs in their tumors are more likely to have a recurrence of cancer after surgery. PF-04136309 is designed to target a receptor termed CCR2 on inflammatory monocytes – the precursors of tumor-associated marcophages. 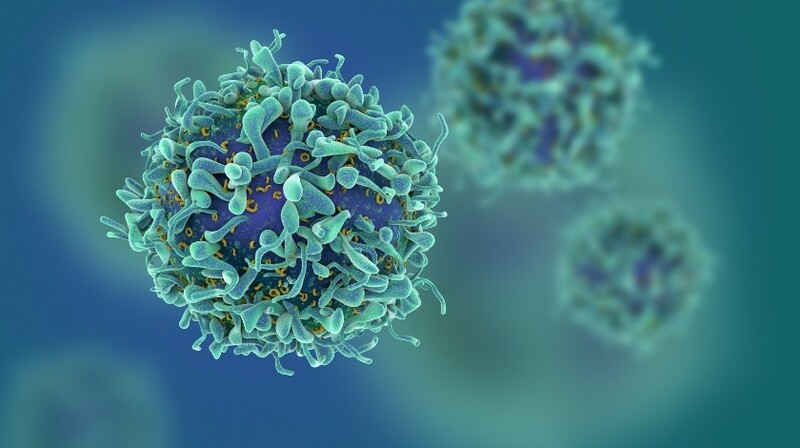 The experimental agent targets CCR2 and works to inhibit the number of cells available to construct an immunosuppressive tumor microenvironment. When used in combination with chemotherapy, the drug also appeared to stimulate a proper immune response in the patients. Linehan has agreed to partner with Pfizer (NY, USA) – developer of PF-04136309 – to lead a Phase II randomized trial to further test the drug in patients with metastatic disease. Source: University of Rochester Medical Center press release via EurekAlert!